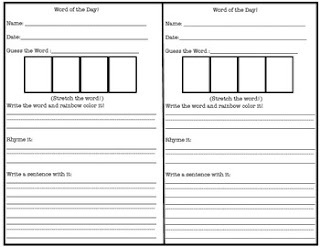 I use this activity right after morning work to introduce a word family of the day. Draw a picture of a word family like "cat" on the board. 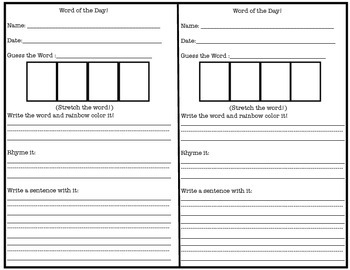 Have the students stretch out the word, beginning, middle and end. Have them rainbow color the word, rhyme it and then work on writing a sentence. This is a great activity to work on spacing, stretching out sounds, punctuation, and rhyming. The kids love doing this! Enjoy! !